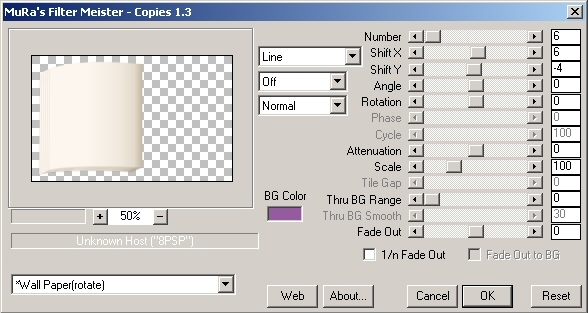 This tutorial should work with any version of Paint Shop Pro, but detailed instructions and screen captures are for PSP version 8. Screen shots and examples are not necessarily actual size - some have been reduced and other are close ups of small areas. 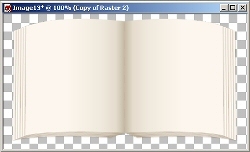 My page preset shape for either PSP7 or PSP8 (can be used with later versions) - Unzip the shape to your My Documents\Paint Shop Pro\Preset Shapes folder. Make sure you have "Retain Style" ticked on the options pallet. Start a little in from the top, left corner of your canvas and drag down and to the right, stopping just above the bottom of the canvas, to draw the left hand page of the book (as shown). Note: you need space around the edges of the page to add the book cover and a drop shadow later. Click on the Object Selector tool (picker tool on PSP X) and use it to adjust the size and position of your page if necessary. Note: If you want to colour your pages with a different shade, colorize this layer now. If you want a thicker book than I have made then increase both the Number and Shift X settings. Note: If you set the 3 settings in the centre to what I have and then change the numeric settings on the right, you will be able to see their effect more easily. Click on the Mover tool, and adjust the positions of the pages so that they meet in the centre and line up at the top/bottom neatly. They should just touch at the middle line. 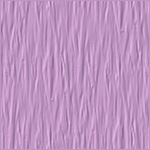 On the Layers pallet, click on the bottom layer. On the Materials Pallet, set the background colour to solid, and select the colour for your book cover - I used #A0785A for a traditional leather colour. Set the foreground material to null. On the Tool Options pallet, untick "Retain Style". 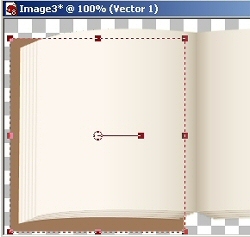 Draw a rectangle behind the left hand set of pages only. 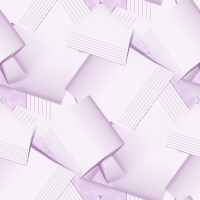 Hold down the SHIFT key on the keyboard and at the same time drag the node at the top right corner of the rectangle up, until it just touches the top edge of the page. Hold down the SHIFT key on the keyboard again and move the node at the bottom, right corner up so that it sticks out below the pages, the same amount at the spine as at the left hand edge. Remember these are vector shapes so you can keep adjusting them until you are happy - or if you think you've got completely lost, just delete the shape and draw a new one. Click on the Deformation Tool and use it to adjust the position of the right hand page if necessary, to match the left hand page. Remember that there should be a gap between them, down the spine of the book. On the Materials pallet, set the foreground colour to a very dark shade of the colour you have used for the cover. 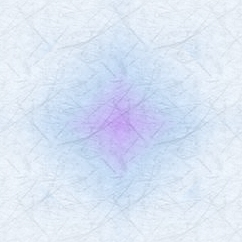 Set the background material to gradient with the following settings. On the Tool Options Pallet, select the Rounded Rectangle from the pull down list. 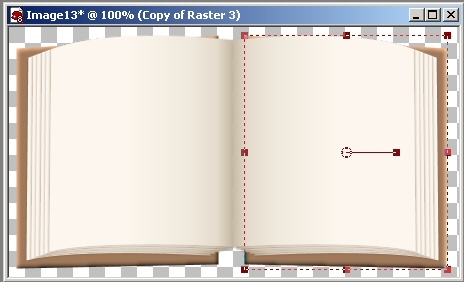 Draw a shape for the spine of the book, overlapping the inner edges of the covers. 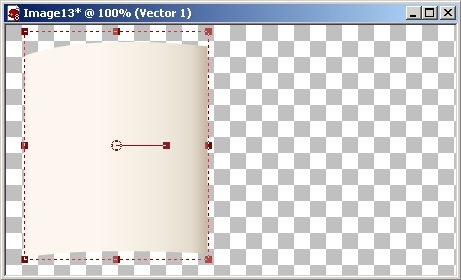 Click on the Object Selector tool and adjust the size and position of the rounded rectangle. It should be just visible above the top of the pages and just a little longer than covers at the bottom edge. File Export, Picture Tube ... give it a name and click OK. Now you have a blank book to use in making tags. Now just add your text - italic fonts look better because it's not so obvious that the text lines don't follow the contour of the pages. 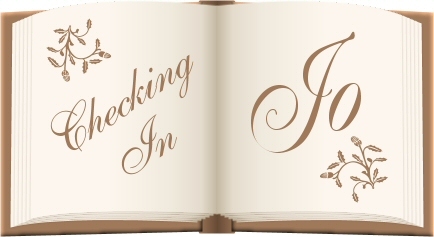 I also added some dingbats to my pages.